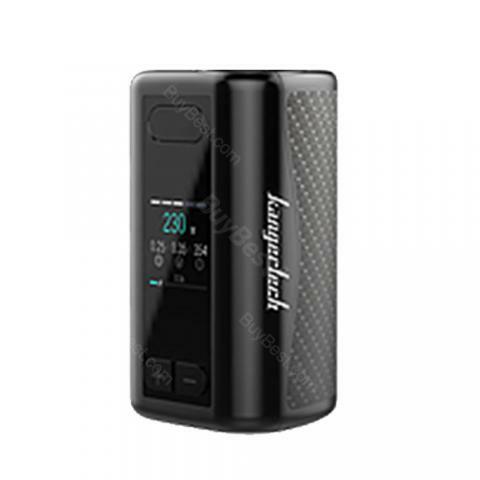 Kangertech IKEN TC MOD has a large built-in 5100mAh battery. It offers max 230W output and includes a big 1.54-inch TFT screen. The Kangertech IKEN MOD comes with massive built-in 5100mAh battery and supports a maximum output power of 230W. The army-grade 1.54" TFT display shows vaping data clearly and precisely. This device provides new function of Beginner / Intermediate / Expert modes to fit the users' different vaping needs. • You can select IKEN Tank and IKEN Kit in BuyBest. Full charge about 9 hours. When using, very hot. As a gift, the seller put the kit for service. Charging no more than 5 watts, 1 amp (max.) USB cable 8 centimeters))) Network charger, no. Charging is enough for 1 day of intense soaring. 5100 mah, there certainly is not, keep this in mind, given the built-in battery. It's a good price for such a cool vape mod, and free shipping. You wont be disappointed. Love the large built in battery. Great mod with good quality. Big display, 5100mah built-in battery. I'm pleased with the kanger iken. Iken with my Gemz axis rda drives out massive clouds and nice flavor. Having been vaping my new kanger iken mod for a week or so. Wattage mode and tc both doing well. Huge battery capacity.